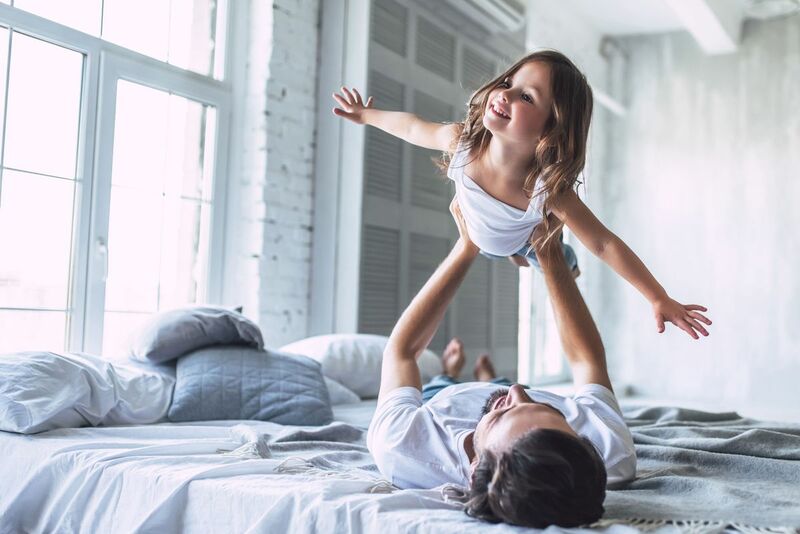 Choosing the floor plan for your new home is a major decision—almost as big as deciding to actually build a new home, instead of buying an existing one. Once you’ve made your pick, the fun begins. At Goodall Homes, you sit down with one of the professionals in our Design Center Showroom to look through all the choices—interior and exterior—that will make your home truly unique. 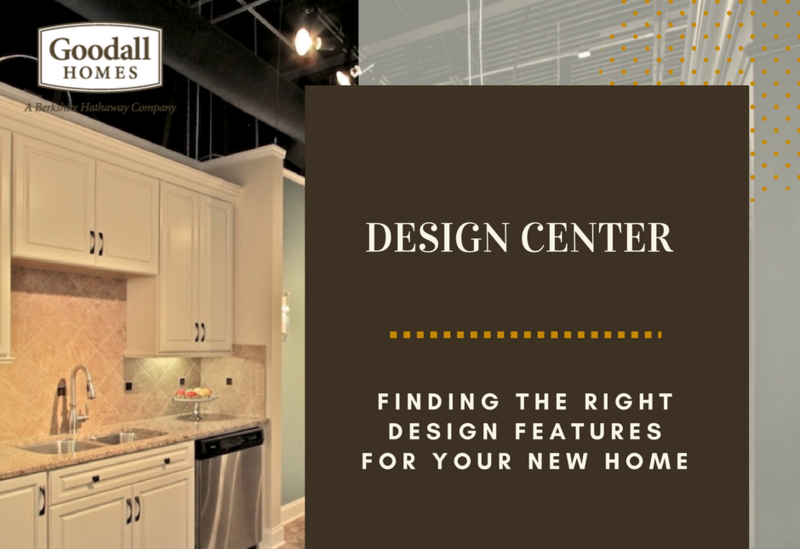 Finding the right design features for your new home can be challenging, but with the right help you can put it all together to achieve the look you envision. When homebuyers walk into our Design Center, they react with awe. There’s so much to look at in our 2,100 square-foot showroom! We’ve been refining our selections for years, keeping up with trends and buyer preferences, while also making sure to offer a wide variety. And this expansive space is filled with choices for every space in your home. You’ll start with the exterior if you’re building a single-family home (as opposed to the cottages, villas, and townhomes that Goodall Homes builds throughout the Knoxville and Nashville areas). We’ll guide you through your choices, like stone, vinyl, brick, and other options that will present well on the design you’ve chosen. You’ll review shutters and trim as well as the many choices for your front door and the hardware—and discuss color. The architectural style of your new home will provide direction for the right exterior design features. Certain colors and details fit better for a Craftsman style home, for example, than a Tudor or Colonial design. Finally, you’ll choose the exterior package that best fits the elevations specific to your home style. Next, we’re moving inside. Look at the flooring choices and think about color and durability. Goodall Homes’ Design Center offers a broad selection of ceramic tile—great for the kitchen, and bathroom, mudroom. For the bedroom, carpeting is still a nice way to greet your feet when you get out of bed each morning. But the decision is yours. Our job is to offer the choices and our design experience. One of the toughest decisions for our homebuyers is the kitchen countertop. Granite is still a durable, attractive choice, but quartz countertops have quickly caught up with this natural stone. Quartz is engineered from mostly ground quartz (93-95%) with the remainder being a resin to bind it together. Quartz isn’t as porous as granite countertops, so it doesn’t need to be re-sealed every year. As we go from the biggest details to the smallest, every choice still makes an impact on your home. The style and color of the kitchen faucet, the bathroom shower head, cabinetry hardware and door style, fireplace mantle, and light fixtures in each room are like brushstrokes in the big picture of your new home. A decision like choosing oil-rubbed bronze over brushed nickel will affect everything from lighting and plumbing fixtures to the hinges on your doors and cabinets, so, yes, it’s important to make the right selection! Are you feeling a bit overwhelmed? Take advantage of the preview appointment we offer before your selections appointment. This gives you a chance to think through your design choices before making your final decisions. Talk to us at Goodall Homes to learn more about making the best selection for your new home.